Just from the very beginning of the show, Naagin 3 managed to top the TRP list every week just like its previous season Naagin and Naagin 2, it has too maintained its position on the top of the BARC TRP list that comes out every week and tells the audience as to which show managed to grab the eyeballs of the audience at maximum. Before Naagin 3, it was ZEE TV's popular shows, KumKum Bhagya and Kundali Bhagya who remained at the top but the positioning of the shows kept on changing when many new shows began just like Bigg Boss 12 that seems to be one of the most popular reality shows of the small screen. 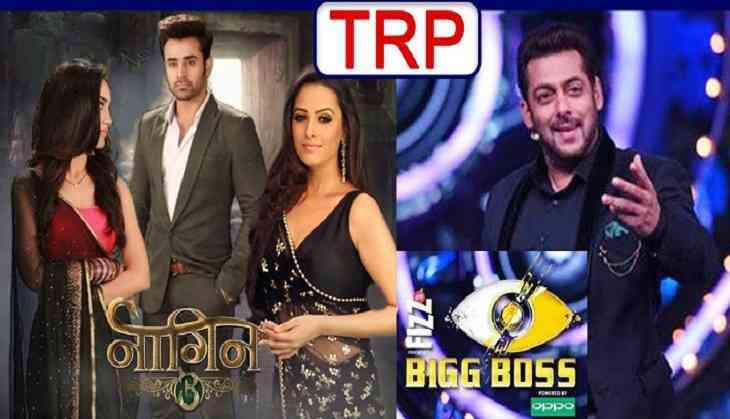 This week's TRP report gave a shock not at the first position which was grabbed by Naagin 3 obviously but at the other positions as firstly Bigg Boss 12 was nowhere to be found in the top 5 list even though the makers tried hard to make the show exciting by introducing a number of tasks and fights of the contestants.